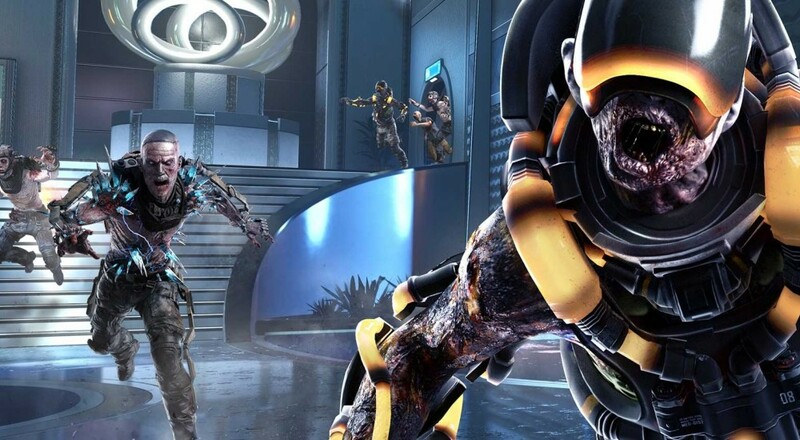 The fourth and final DLC for Call of Duty: Advanced Warfare is day’s away and fellow Co-op gamers can look forward to the final chapter in the Exo Zombies story along with 4 new competitive multiplayer maps. The DLC will hit PS4 and PC gamers on September 3rd a full month after fans on Xbox One and Xbox 360 have experienced it. To most this date might not be all to important but if you are an avid COD player on the Xbox One it is worth noting that Reckoning will be the final DLC to get the 30-day exclusivity period on Xbox platforms. When Call of Duty: Black Ops 3 comes out this fall the roles will be reversed and PS4 owners will be the ones to get the DLC 30 days early. Below you will find a few detailed descriptions about the upcoming maps. Overload: Located on an island riddled with a disease outbreak, you must fight in close quarter corridors, long lengths outside or in the central hub. The map-based scorestreak brings a nearby ship to bomb the island. Fracture: An ice digging facility located near one of the poles. Here you must fight it out on a sinking ice cap covered with buildings and windmills, watch out though, as half way through a match some of the ice will sink! Swarm: A suburb in Korea, filled with cars and litter. Players must fight in the small buildings or on the main streets. Activate the map-based scorestreak to control a cluster of assault-drone type bots, wrecking havoc for the enemies. Exo Zombies: Descent: The four characters; Lilith, Kahn, Decker and Lennox successfully evacuated the ship and have now sought refuge on an island. New zombie additions include purple and orange teleporting zombies, a new weapon; the Trident. A new scorestreak includes an XS1-Goliath fitted with seeking missiles and shoulder missiles. Like all of the Call of Duty DLC you will be able to purchase Reckoning on its own for $14.99, with Season Pass owners able to download it for free. We're obviously most interested to see how the co-op Exo Zombies mode wraps up.